This experience happened almost exactly one year ago, and certainly was the photographic highlight for the year. 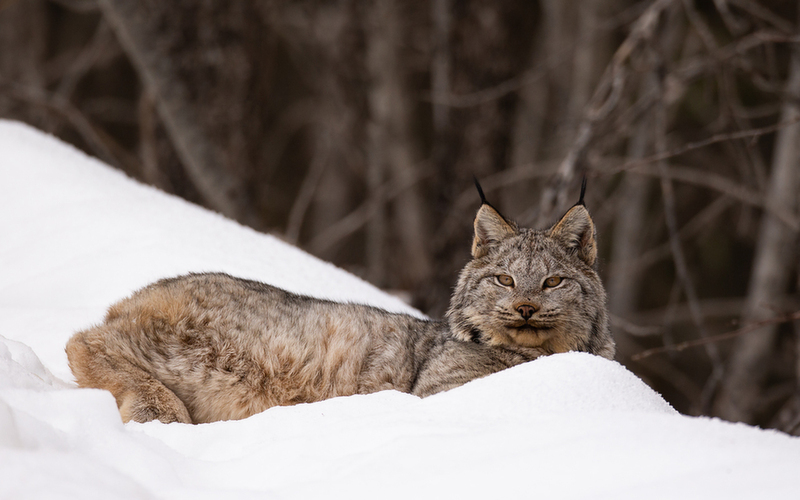 Nothing like having a cooperative wild lynx posing patiently to get one excited about wildlife photography. Congrats on your image of this elusive creature, Pete. Its must have been absolutely wonderful to experience. You must have been so thrilled at this encounter, Pete, I would have been! Such a laid back beauty, and look at those wonderful ear tufts! Awesome capture! I love the stare. My only lynx sighting was a pair crossing the road ahead of me--not enough time to even grab my phone for a snapshot. I'm jealous! Beautiful animal and you made the best of the opportunity. I'm always hoping to spot them but rarely do.